The Vox V845 Effects Pedal is a new version of the most famous guitar effects pedal of all time. 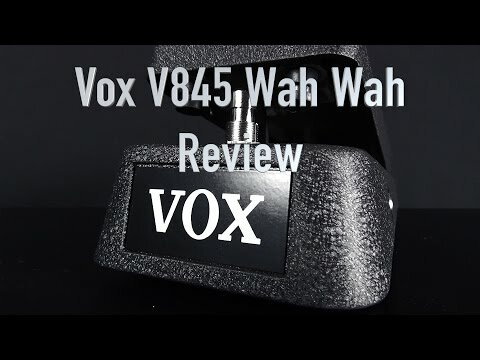 Based on the specifications of the original pedal developed by Vox in the '60s, the Vox V845 Pedal offers guitarists the same legendary Wah-Wah tone in a new sturdy but very affordable design. An AC power connector is fitted to save on batteries and the outer case is coated with tough all-black finish making it the perfect choice for your pedal board.